Who is This Quaver Guy? Music classes in grades K-5 have been using materials from Quaver's Marvelous World of Music this school year. This is an interactive approach to music education. We watch 12-14 minutes episodes on topics like beat, meter, the musical alphabet, instruments of the orchestra, and loads of others. Quaver is sort of like Bill Nye the Science Guy meets Doctor Who and teaches about music. The series is very well done and the students retain the knowledge! There are also interactive quizzes, games, and activities that we do together. Recorder students and chorus members have helped me test out a free, all-access pass to the new Quaver curriculum with play along recorder teaching track and creating commercial jingles. The great thing about Quaver is that it supplements my teaching; it does not replace what I do! Below, I've copied the letter to parents on the Quaver website. There is an entire online component that kids can access and use at home. They can compose their own music for fun right at home! They need an online account (it's totally free), but they do need parental permission to sign up. I've shown most classes the website in music class, so they know their way around. If you'd rather us have your child use the account I made for school, you can do that. You might want to play along, too! We are so glad you found your way to our world! Maybe your child came home today talking about Music Class . . . going on and on about an awesome lesson their teacher taught and a new friend named Quaver they met along the way. Quaver’s Marvelous World of Music is home to cutting-edge resources for today’s music teachers. Our interactive Programs give your child’s teacher new and engaging ways to bring music to life for their students!! Students in classrooms using Quaver will be introduced to Quaver’s world via fun, video episodes – a place filled with musical adventures that is part Bill Nye the Science Guy, part Beakman, and part Monty Python all rolled into one. Teachers may also use Quaver’s cutting-edge teaching resources on their Interactive Whiteboards or mobile devices, enhancing the technology in your child’s classroom! Or maybe you’ve been looking for a way to encourage your children to love music at home – to enjoy listening, creating, and learning more about it! QuaverMusic.com is a great place to start - an interactive virtual world that gives your child the freedom to create, explore, and learn about music in a safe, age-appropriate world they will love. Teachers use QuaverMusic.com to distribute assignments and reinforce lesson objectives with musical games and quests. The site is free to students at home or in the classroom – so they can continue to foster a love of music wherever they are. If you haven’t already, we hope you’ll help your child create an account at QuaverMusic.com and continue the musical adventure! Our mission at QuaverMusic.com is to see the greatest possible number of children learn to love music – and we know that starts with parents who support music education and creativity. 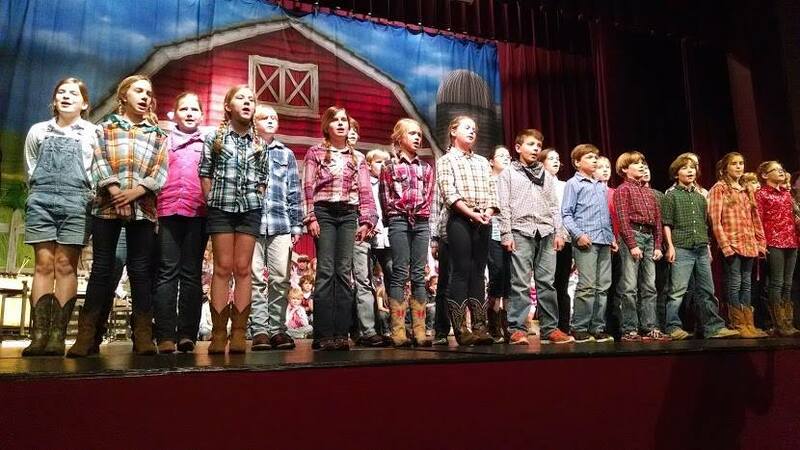 The elementary students performed in our Annual Grandparents' Day show on March 28th, 2014. 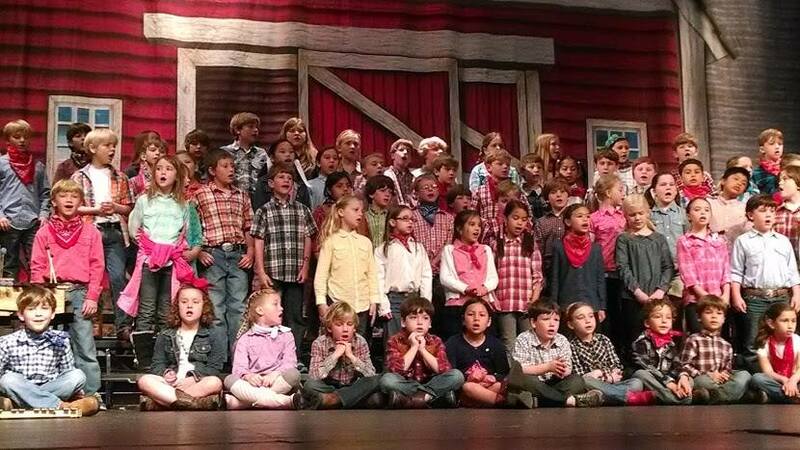 Our theme this year was "An American Patchwork: A Collection of Folksongs." The students sang, danced, played instruments, and put on a fabulous show. I am so proud of all their work! As always, we were delighted to have a full house of grandparents and special friends come to join us. I think the students really enjoyed singing songs and having their grandparents say, "Oh! We sang that song when I was in elementary school!" It was a neat way for the children to bond with their grandparents over music. Thank you for all your help and support of the Fine Arts here at FPD! Hopefully, when these children grow up, they will be able to share musical memories with their own grandchildren! Below are a few pictures from our performances! 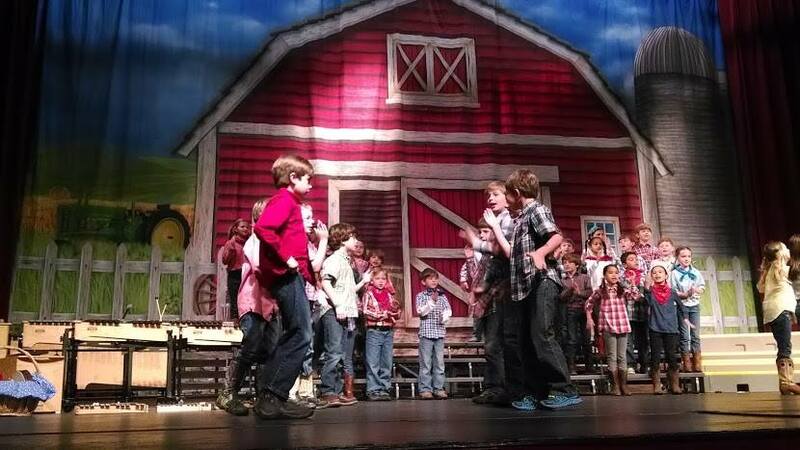 5th Grade singing "Oh My Darling, Clementine." PreK and K singing their hearts out! 2nd Grade dancing to "Alabama Gal." 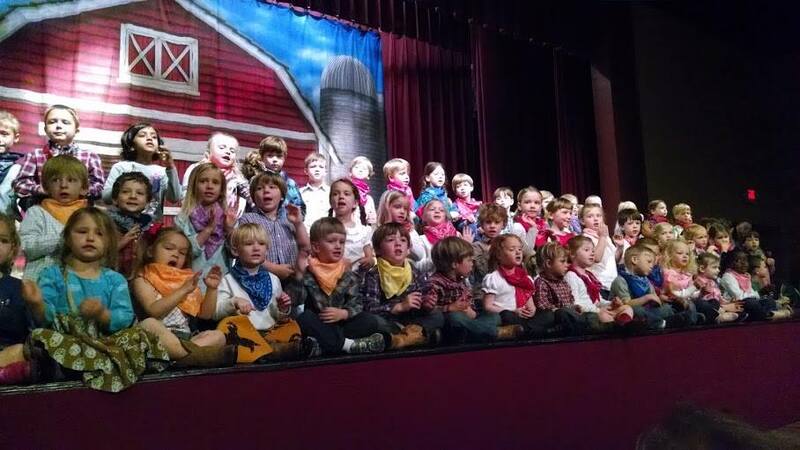 1st and 2nd singing "Home on the Range."